Spring 2013 saw the new handrail designed, manufactured and installed. 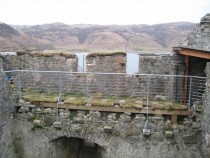 Architect Martin Hadlington had worked together with Philippe Rigal, of Engineering Services Mull, on the design. Once it was approved by Historic Scotland, Philippe got the manufacturing under way. 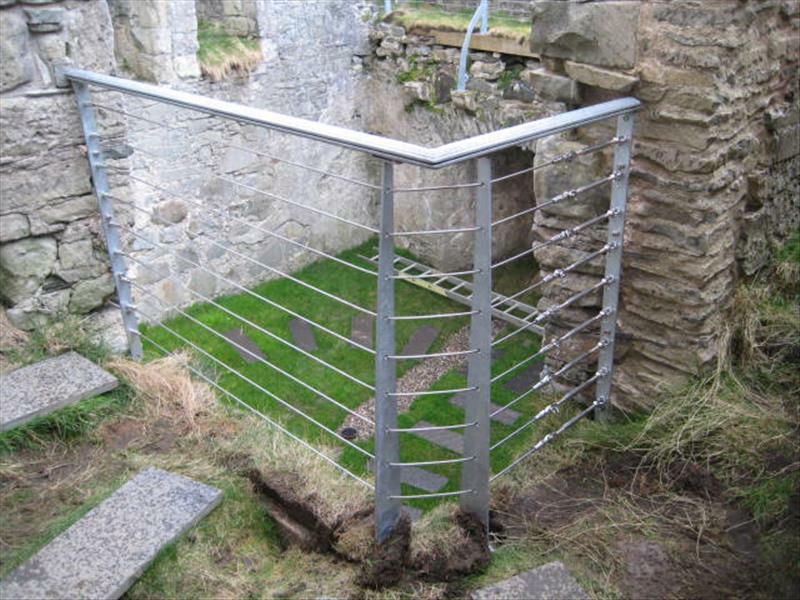 This process was quite slow and complex, and involved Philippe making several journeys from Tobermory to Lochbuie, and Martin (Hadlington, the architect) from Seil Island, to measure and fit the handrail and, also, to install it temporarily to make sure things worked. Once they were happy, the handrail was dismantled to be sent away to be galvanised. 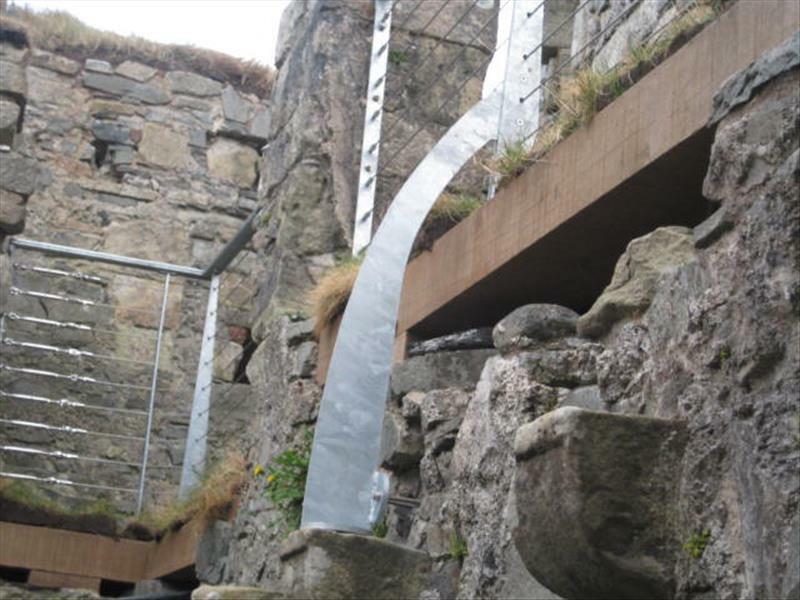 The photographs below (all courtesy of Philippe Rigal) show the handrail installation completed. Showing the support which sits on the corbel below. 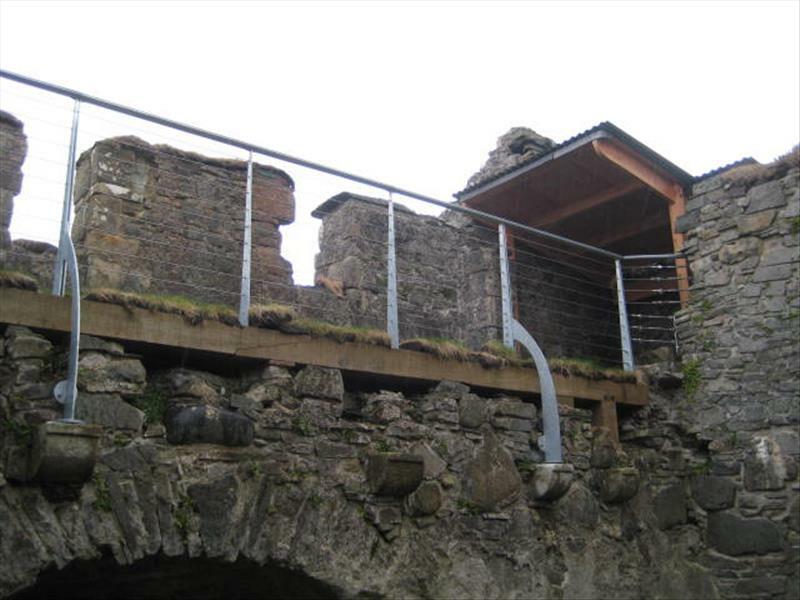 Philippe is very pleased with the new handrail saying ‘the grey of the galvanised steel looks very elegant against the stone work of the castle’. 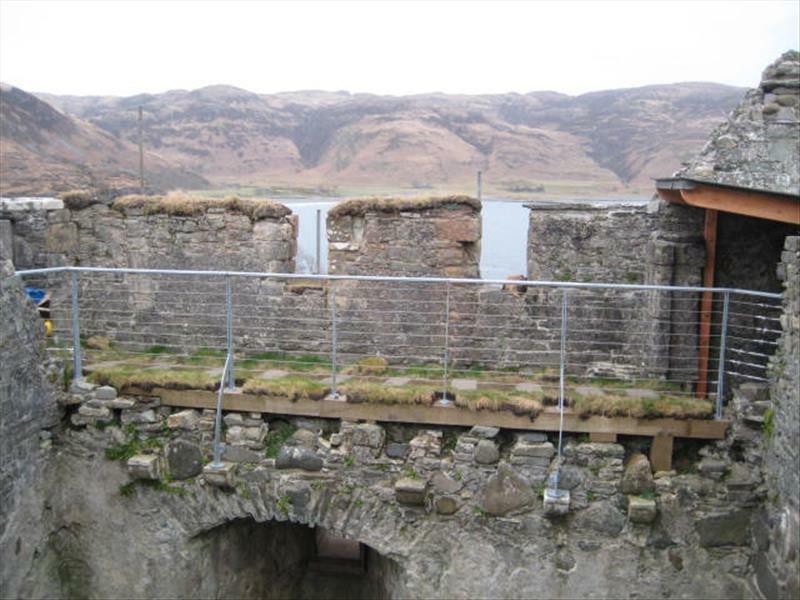 The steel tensioning wires add immense strength, but allow a clear view across to the other side of the castle and also down on to the floor below. 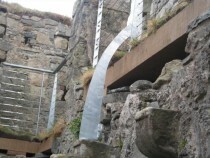 The stone corbels, which can be seen clearly in the second image would, originally, have supported a timber roof to the chamber below. Now they support the handrail above. The angled handrail at the edge of the wall-walk, looking down onto the floor below.